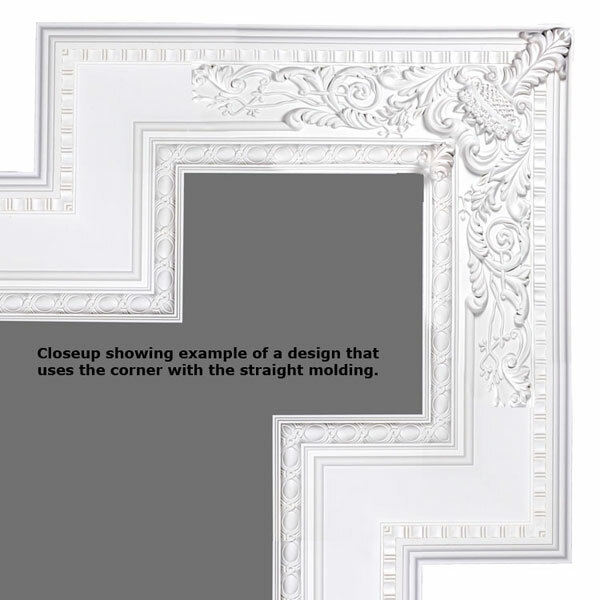 You can create numerous different designs using the WR-9106A corner, the WR-9106B decorative piece, and the WR-9106 connecting molding. 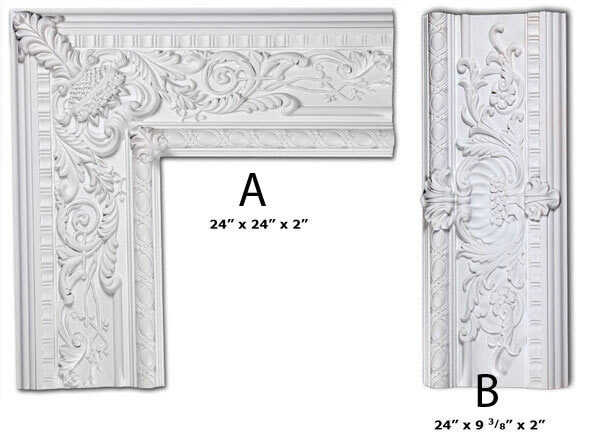 The design above is about 9 1/2' long by 8' wide and was created with 4 WR-9106A, 4 WR-9106B, and 4 pieces of the WR-9106 and cost about $600. You could also create something like a 10' x 6' rectangle with 4 of the WR-9106A and 2 pieces of WR-9106 for around $350.